The Women's Network at the Government Digital Service (GDS) ran a training and mentoring working group last summer, where we asked our members how could we improve the offering at GDS. We had a high volume of responses and spent some time thinking about what we wanted to achieve. 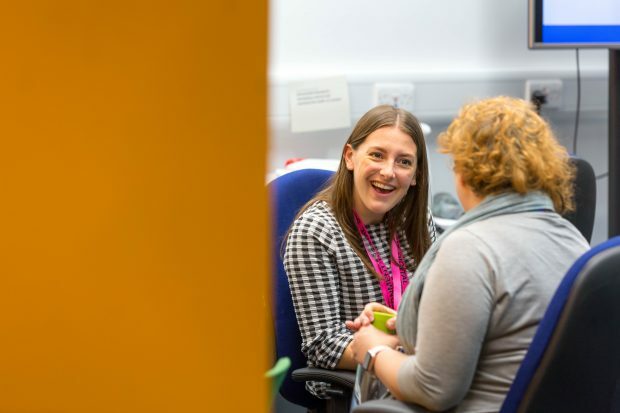 We decided to focus on mentoring, as we knew from our research there was a need for a mentoring scheme that could help everyone at GDS, not just the Women’s Network. So we set up a working group with the goal of improving awareness of mentoring. We also looked at the best way for how people could be matched, the resources and training available for mentors and mentees and how the scheme could be evaluated. The scheme is open to anyone working at GDS. We aim to match people looking for mentors with someone who has the appropriate with the right skills and experience. If you’re looking for a mentor, you can fill out our signup form where we ask a few questions about your goals. If you’d like to be a mentor, you can also fill out the form and outline the types of skills you can offer. The matching committee then meets monthly and looks through the anonymised profiles of mentors and mentees and puts them together, ‘Blind Date’ style! After matching, we contact the mentor to check they’re still available. Priorities can change and it’s important the mentor can give a time commitment to the mentoring process. Once they’ve confirmed, we introduce the mentor and mentee to each other via email and give them guidance on how to get started with the mentoring relationship. We also want to offer ongoing support after the matching process has happened. So we’ve set up a Slack channel and a mailing list to better communicate with our mentors, and updated the guidance on GDS wiki. The role of a mentor is to encourage the personal and professional development of a mentee by sharing knowledge, expertise and experience. Mentors can have a wide range of skill levels and backgrounds - your experiences will be valuable to somebody! Being a mentor can help develop coaching and listening skills, and allows you to get a fresh perspective outside your usual network. It’s also great for people who want to get management experience and build their own confidence. It’s very satisfying to see your mentee progress over time and achieve their goals. 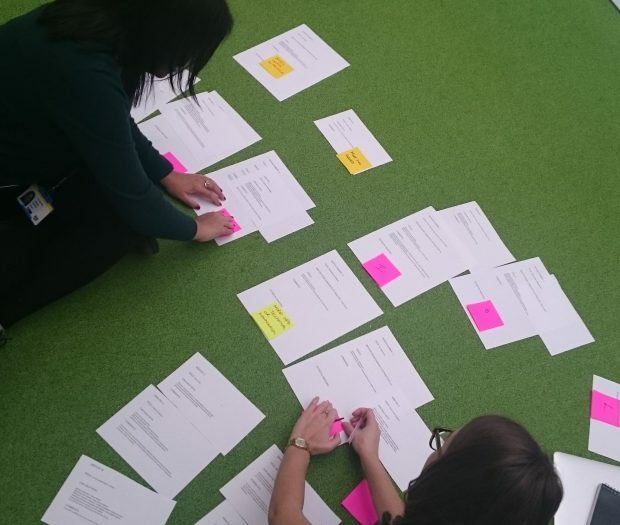 In December we ran an Agile coaching skills session to help support mentors. This included guidance on how to balance the mentor’s role as an advisor, with coaching techniques to help encourage the mentee to arrive at their own solutions. Having a mentor is not just about career progression or getting a promotion. A mentor can help you improve technical skills and coach you through a specific problem you’re having, or can simply be an impartial listener. The mentoring scheme also offers reverse mentoring, where someone is mentored by someone junior to them - this can be a great way to get feedback and get a broader perspective on the organisation. The Women’s Network also ran a Speed Mentoring event in October 2018. A room full of enthusiastic prospective mentors and mentees gathered in the GDS Academy to learn about the benefits of mentoring and having a mentor, and to get some general tips. Then we began mentoring in pairs, discussing each others’ goals and challenges, and swapping to another pair after 5 minutes in rotation. This event was a great success, and we plan to run another later this year. For more information, to find a mentor or volunteer as a mentor, visit the GDS wiki to sign up and get started. You can also contact katherine.stevens@digital.cabinet-office.gov.uk or ciara.davey@digital.cabinet-office.gov.uk for more information or if you’d like to get involved with running the scheme. If you’re interested in working at GDS, have a look at our current vacancies.